Our product range includes a wide range of labview based system, labview vision system, labview windmill controller and labview software development. We are offering Labview Based System to our client. Together with this, the personnel sent by us for providing these products and services are well known with the understanding of this business realm and are delivering these products and services as per the necessities of our patrons. 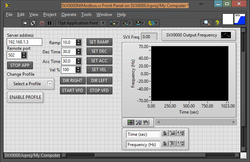 We are offering Labview Vision System to our client. 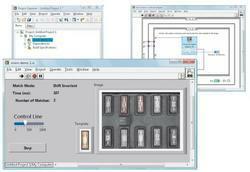 We provide an extensive assortment of Labview Windmill Controller, which is highly demanded and needed in the market. Assisted by in-depth knowledge and years of experience, we are able to provide well-competent Labview Welding Control SystemSystem to the patrons.